Cabaran Joran FishComp registration started at all Capt Fred Fishing and Marine Supply branches. 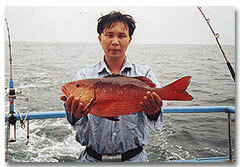 Cabaran Joran FishComp website (fishcomp.fredfishing.com launched) launched on Nov 26, 2013. This has alway been the year most anticipated Fishing Competition in Brunei. We are back again after a few year's break but this year we have started two exciting new categories. A children category and a Boat Category. Join in the fun and win great prizes! There are now 5 categories to win prizes from. This exiciting fishing competition is co-organized by Capt Fred Fishing and Marine Supply with Jabatan Bandaran Bandar Seri Begawan with the intention of promoting sport-fishing, promoting the beautiful city of Bandar Seri Begawan and tourism in Brunei Darussalam. All are welcome to join in this fun and exciting event. 3. How do I Join the Competition? 4. What Are The Requirements For This Competition? Sport Fishing License: Participants are not required to purchase their own Sport fishing licence from Brunei Fisheries Department. Fishing licence will be arranged by the organisers of this competition. Health: All participants must ensure that they are physically and medically fit to participant in this fishing competition. 5. Where Is The Fishing Boundaries? For On-shore category, all participants are permitted to fish at any area marked "X" on the location map. (Click here to view location map). For Boat Category, all participants must leave from the designated jetty at the start of hte competition and to return to the designated jetty at the end of the competition. 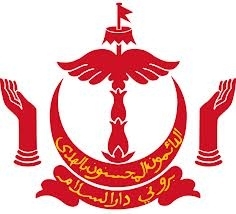 They are permitted to fish in all legal Brunei territorial waters. They not permitted to fish at restricted area such as withing 500 metres of Oil rigs. 6. What Are The Prizes To Be Won? BOAT CATEGORY: Can we carry non-participating passengers on our boat? Answer: No. Only participants are allowed on each boat. Team with additional passengers will be disqualified. BOAT CATEGORY: Are boats provided for participants? Answer: No, participants are responsible for providing their own boats, bait and fishing gear. ALL CATEGORY: How many rods can each participant use? 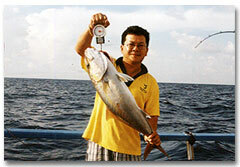 Answer: Each participant can use only one fishing rod. It must have a valid FishComp Sticker. Participant using extra rods will be disqualified. ALL CATEGORY: When is the last day of registration? Answer: The last day you can register is on the day of the event (28 - 29 Dec) however, early registrants will receive a free gift. T-shirts, etc. CHILDREN CATEGORY: What are the age limit for Children Category? Answer: Children must be of the age 7 to 15.